Moscow, December 31, Interfax – Russia is doing not enough to combat the ideology of Wahhabism, a high-ranking spokesperson for the Moscow Patriarchate says. 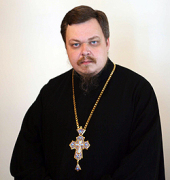 “If the circulation of Nazi ideological cliches has been strictly limited or banned in certain cases, why not apply the same scheme to the radical interpretation of Islam rejected by most Muslims themselves?” Archpriest Vsevolod Chaplin, the head of the Synodal Department for Church and Society Relations, said on Silver Rain radio. “We are hiding this problem,” he said. “By saying that some casual people without a certain face, clan, tribe, convictions, or membership of this or that organization commit something, we, on the one hand, surely try to evade tough questions, not to sow panic, and not to split society. This is all understandable. But if we ignore the problem, it can very easily bury us in five or seven years,” he said. The people are entitled to campaign for this or that organization of society, “be it caliphate, sharia, communist, ultra-liberal, or other – competition of ideas should not be eliminated from our life,” but these ideas cannot be imposed through force and intimidation, he said. Father Vsevolod also called on special services to take a closer look at organizations financed and managed from some Islamic countries, primarily those in the Persian Gulf. The priest said also that, despite the mourning for the victims of the Volgograd bombings, the people can celebrate the New Year’s. “Terrorists are trying to drive us to fear, horror, apathy, and panic, and therefore the holiday actually should be celebrated, although I don’t like this Soviet-style New Year’s. But I believe the people should have the chance to celebrate it. If instead of these dumb shows some dumb panic starts spreading throughout all channels today, it’ll be even worse,” he said.